Answering the calls of nostalgic adults pining for the video games of their yesteryears, the SNES Classic is a new console from Nintendo that is a miniature version of the famed system from the 90's. The original system played games that came on cartridges, but as these accumulate, they can take up a great deal of space. Unfortunately for those that already have a sizeable collection, the SNES Classic's mini interface does not include a cartridge slot. Instead, it comes pre-loaded with 21 games. It makes a great start for those that remember the Super Nintendo's offerings that are starting from scratch. The 21 pre-loaded games include a number of SNES classics from the platformer, racing, action, and RPG genres, such as the iconic Super Mario World, StarFox, and even the exceptionally rare Earthbound, the latter of which can go for hundreds of dollars all by itself. Buying all these titles in their original cartridge form could break your bank account. Additionally, the SNES Classic Edition comes with the previously unreleased StarFox 2, granting fans of the original the sequel they've been waiting decades to experience.One of the downsides of working with an original SNES console is that its original design is not compatible with many HD televisions. The SNES Classic comes with HDMI hookups, bringing you the retro games you love in gorgeous clarity. Each console comes with two wired, classic controllers with the same look and feel that you remember. Additionally, if you downloaded SNES titles to your Nintendo Wii or Wii U, you can connect these controllers and play them the way you remember playing them. The Wii's classic-style controller will also connect to your SNES Classic Edition if you happen to need a quick replacement. Un paiement immédiat de 139,99 $C est requis. Perfect item to bring you back to your childhood. I love how they have made it simple to plug in (HDMI) and easy to get power (USB with detachable converter) the layout of the programming is easy to use and the games are exactly how they used to be. If I had to give some cons, then I would say it could used a bit longer of an HDMI cord, power cord, or else just longer controller cords. But if that is an issue its easy to buy a new USB and HDMI to fix the issue. I love the entertainment system. It has a couple of games I love including Mario. 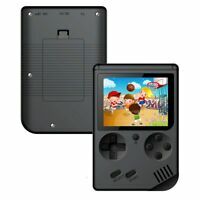 They system is very small with only 2 control buttons and standard game paddle to control play. The cord on the remote paddle is sufficiently long. I wish it had more good games than it does, but it was worth the price for the games I like. I am unfamiliar with most of them, but who knows, I may like them after I play them more. I recommend the system. This Super Nintendo is great, it’s small and has the HDMI input with 2 wired controllers and the power cable all included right out of the box. Everything was in brand new condition and the controllers feel just like the original from the 90s. I got the Super Nintendo with the games included and 98% of the games work, also the seller included one of my favorite games of the Super Nintendo called sunset riders. Great product overall. The games are just like they used to be. The product itself is a mini version that is slightly different (there are no games to put into the top or blow into if it's not working correctly) but the graphics, songs, and levels are the same. If you remember playing on your Super Nintendo (or you want to experience an old school gaming system) I highly recommend this. This game system came brand new..works great fun to play..kids love it. The good thing with these is you don't have to worry about your kids hearing cuss words...just good clean fun for all ages!